Fullerton California Auto Accident Injury Lawyer - Have you been involved in an auto accident that wasn't your fault? If so, you have a lawsuit and a right to recover damages, including to pay for medical bills and for your pain and suffering! Do not delay while the insurance company of the other driver implements delay tactics to discount your claim. Instead, hire the best ranked attorney in Orange County to prosecute your car accident case against the negligent driver! Napolin knows what he is doing when it comes to all types of negligence cases related to autos, no matter how big or how small. Having successfully handled hundreds of cases, he is a master of the ins and outs of the pre-litigation and the intensive litigation process necessary to force payment by the insurance carrier. Hire Napolin to get a first-class advocate to litigate hard for neede compensation to pay for medical care and pain and suffering damages. Call Alexander Napolin, Esquire to speak directly with an attorney about what to do next: Dial (714) 265-7526. There is no charge for your initial auto collision legal consultation and his law office offers contingency fee billing options (only pay at the end of the case and only where you recover money). 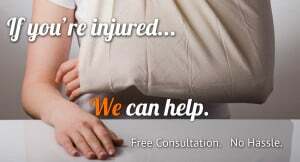 For more information on the firm and how to get into contact, visit Fullerton car accident attorney main page at www.autoaccidentlawyeroc.com. Hiring the Best Car Accident Attorney in Fullerton CA. parties insurance carrier is no longer allowed to call your personal line anymore. Instead, they must call the attorney! This takes a significant amount of stress off the shoulders of the victim. Second of all, an attorney with knowledge of the motor vehicle collision litigation process can direct the client on how to obtain medical documentation and health care for their injuries without money upfront to the care provider. Even where the victim has no health insurance, the lawyer can find a doctor to treat the victim on a lien basis. This means that no money is due until settlement or award is achieved. Beyond all of the aforementioned, a fantastic attorney for motor vehicle accidents raises the probability of a fair and just outcome for the injured's case. The more severe the harm, the bigger the compensation necessary to limit the impact that injury has on the victims life. Without an auto accident injury lawyer on your side, a low recovery is practically inevitable because a lay person does not know how to sue people in court and win. Here at Napolin Law Firm, Inc., the office staff provides first rate service and the lawyers provide sage advice and excellent advocacy inside and outside of the courthouse setting. We are the best ranked lawyers for Orange County car accidents and represent the residents of the city of Fullerton, California in addition to all of Orange County, California. Don't discount pain that seems to feel only minor at first. Minor pain that does not go away most often grows into more severe pain, loss of motion and means a bigger health problem than at first suspected. Every single victim of another's negligence on the roadways should be heading to a doctor for physical examination. When the full extent of injury is unknown, always protect yourself by hiring a lawyer for guidance and to place that wall between you and the insurance adjuster of the negligent tortfeasor. Try not to divulge nature and extent of the harm to the other driver's carrier as they will tend to use your words against you to discount and downplay damages, even where doing so is unethical. If possible, do not give out any recorded statements over the phone or in person to either your insurance or theirs. Don't give out a recorded statement to the other driver's insurance company. In fact, don't even talk to the other party's adjuster! Ignore the phone calls and hire a seasoned personal injury lawyer near Fullerton California right away to take control of the matter! 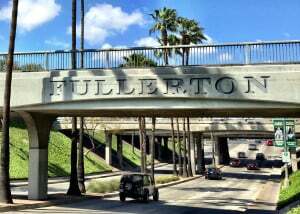 Fullerton is a city in Orange County with two major highways running through it, the 57 freeway and the 91 freeway. With congested streets and highways, it is an area that is highly prone to collisions involving automobiles. When involved in one, immediate representation rather than delay can change the entire trajectory of the claims process and litigation further down the road. Those who delay and do not obtain accurate medical documentation of injuries could end up being unable to prove damages to a jury later on down the line. Those who are injured seek medical treatment. Those who are not harmed tend to delay treatment. If you are in the former category of the injured, make it a priority to get adequate documentation and care that will allow provable damages at trial.